That was a very solid look, and I say that as an OSU alum and fan who is disinclined to like navy and yellow. The helmet is their best ever IMO (lightning looks best against a dark background), and the pants look much better in white than in yellow. Navy beats royal for me, too. 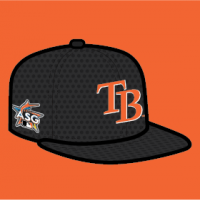 If they could only have found a way to work some powder blue into this set it could have been an all-time classic. That said, I don't think this is really an unpopular opinion on these boards. 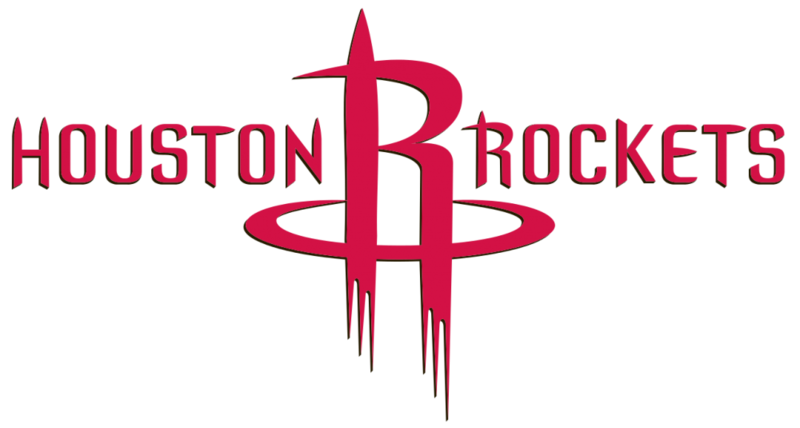 I feel like the current Rockets logo looks really lazy, like a 6 year old did it. The Rockets should bring back a modernized version of their 80's logo. The only thing I don't like are the pants stripes (or bolts). It looks awkward going that straight down and they have too many jags. If they were somewhat curved to match the helmet and shoulders (not sure how you could make it work, but the current set does it fine), I'd be good with that. Actually, I'm okay with the logo - it does look like a rocket launching - but I feel like their uniforms are lazy and don't try. And then when they do try, we get BFBS and the unnecessary addition of grey to the color scheme. In fact, the various iterations of their current uniforms have never really impressed me, even back in the Yao days when they first unveiled them. That's the popular opinion on this board. Personally, though, I've always hated that look. It's just boring. The Chargers should never wear navy or any shade of blue other than powder. The only reason why they ever wore navy to begin with is because it's the Spanos family's favorite color - which should be reason enough to consign it to the dustbin of history. The road look would have still been bland without any powder blue, but it still would have been an improvement overall. 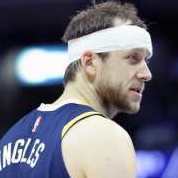 I really dislike white jerseys at home in basketball. Would prefer teams be more like the Lakers and have bright color at home and dark color for away. Maybe have a white jersey as an option in case of colors being too hard to tell apart. The Chargers' true color is dark (or at least darker) blue. They've won it for more than 40 years, they wore it in their only Super Bowl appearance and it's what Fouts, Joiner, Winslow, Seau, LT, Gates and Rivers have worn. As I mentioned before, I feel like lightning bolts look better against a dark background, as if against the night sky. 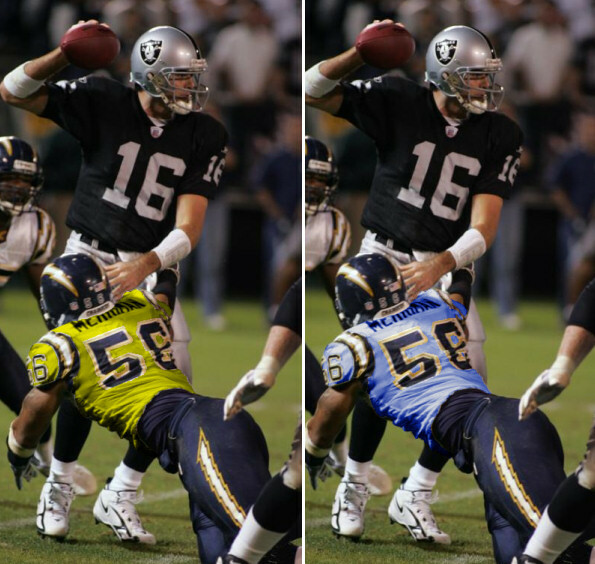 I like the Chargers' current color scheme but think they could do better with the uniforms. Thats one of the two biggest reasons why I prefer both the Fouts set and the Seau set over the originals. The Seau set especially was very good for helping the bolts stand out and seem bolder. There's nothing boring about it when the bolts jump off the uniform like that. The second reason is I just don't think powder blue and gold look all that great together. It's a preference thing for me, but two bright colors competing for attention like that just bug the crap out of me. Sleeved basketball tops are far and away better looking than the traditional tank top look. I agree with this when it has the team or city name over a number on the front like the sleeveless jerseys. I don't like when they have a giant team logo on the front like they often do. The Jazz' double-blue unis looked pretty good and appropriate (jazz music is, after all, based on the blues), but it always bugged me that they featured purple pretty prominently in their logo but didn't have any on their uniforms, not even as trim. Purple-and-light-blue would've looked better than double blue, IMO. I think that around the time those Jazz unis came out, teams were in such a rush to de-90s themselves that colors like purple and teal quickly disappeared in favor of more traditional colors like red and blue. In the Jazz case specifically, I can only reasonable conclude that they held onto the purple in their primary logo as a way to at least hold some common connection/cohesion to their previous identities. An all-blue logo wouldn't have felt very Jazz-like at the time, I think. Maybe they were trying to eventually phase out purple (which it turns out they eventually did) and didn't want to change their entire identity too abruptly, so they just kept some in the logo. Not great logic but the best I can come up with. The Raptors are another example of a team that held onto prominent purple for a few years in their primary logo despite not having it on their uniforms or on the court. Yeah, forgot that Toronto did that too. The bad thing about that whole post-90s backlash was that teams actually tried to look good, and unique, in the 1990s, and in getting away from that style, many teams also stopped trying, it seemed. That Chargers uniform is a pair of socks away from perfection. If they had yellow in the stripes to better match the shoulder hoops, 10/10 no question. I hadn't ever thought of that, but a million times yes. Absolutely. Put a thin yellow and thin blue stripe between the two stripes that are there and there you go. I like that the conference logos are gone from the super bowl fields. It takes up unnecessary space and doesn't match anything color wise. The duds that got me into jersey design as a kid. Still love em. Two of the best looking expansion franchises ever. 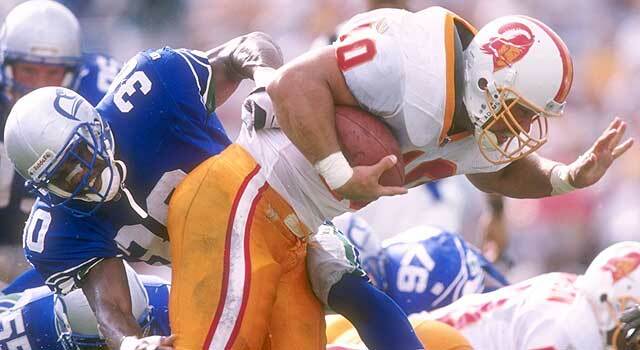 Mike Alstott was amazing, its a shame Gruden didn't utilize him like Dungy had. It's a shame Dungy couldn't win a Super Bowl with him like Gruden did..